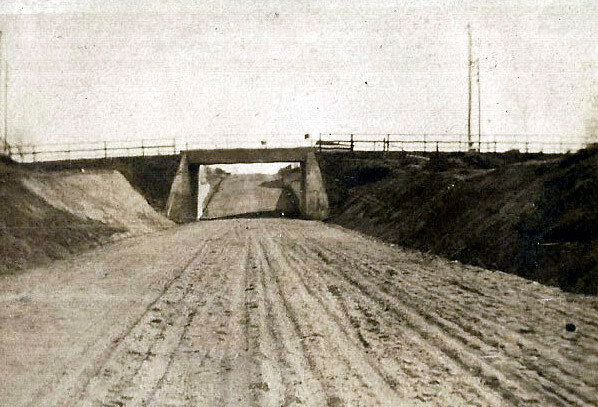 The Old Country Road Motor Parkway Bridge was a "highway" bridge, since the Motor Parkway went under the bridge. 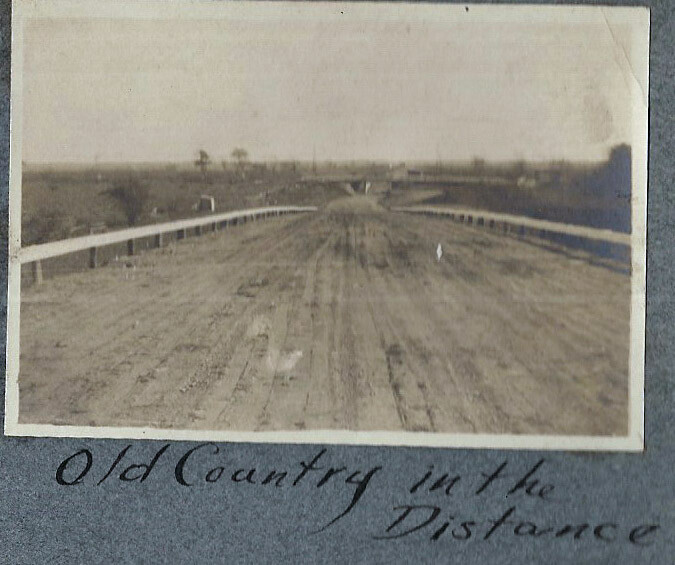 Old Country Road is the border line between the Town of North Hempstead and the Town of Hempstead. 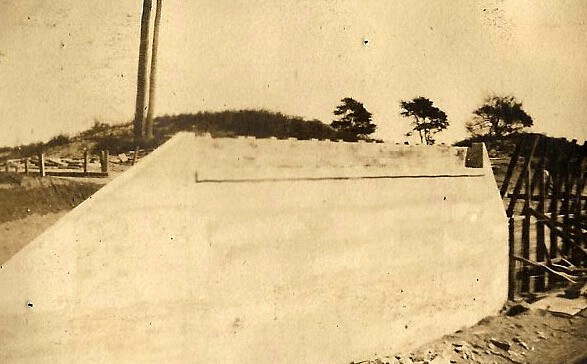 View looking southwest, the west abutment. View looking south towards Garden City. View looking north towards Mineola. The Mineola LIRR Motor Parkway Bridge can be seen through the Old Country Road Bridge. View looking south from the Mineola LIRR Motor Parkway Briage. Great photographs! 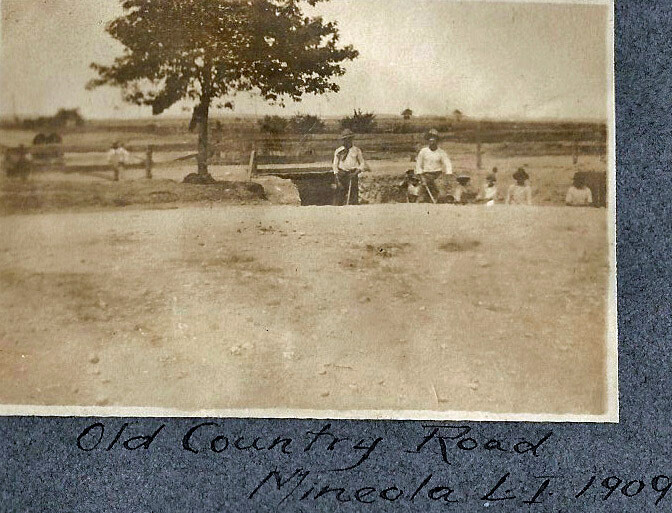 Never thought the day would come to see these long lost images of a roadway view facing the Old Country Rd bridge, and also a roadway view on top of the Mineola RR bridge. It’s the closest to actually driving on the Motor Parkway 100+ years later. Fantastic images Howard! These are really great photographs ! 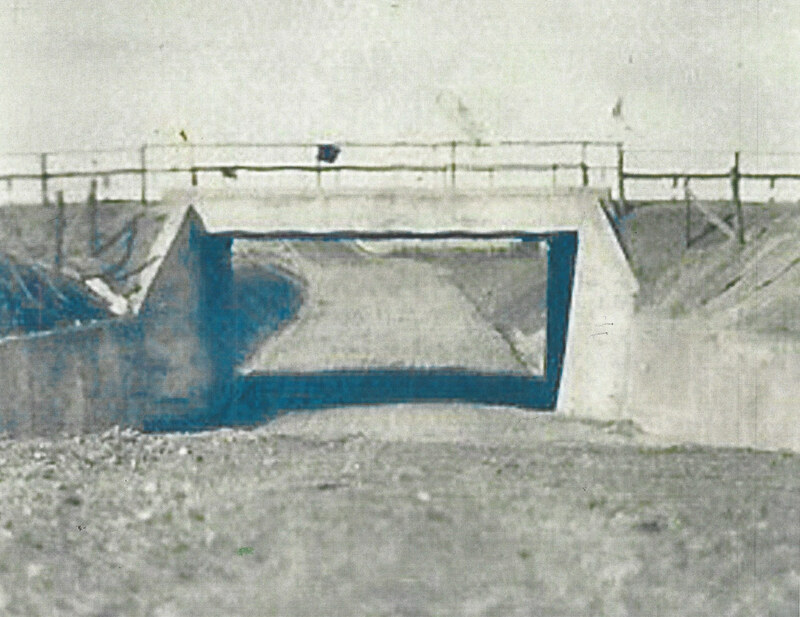 Looking at the west abutment image, there’s a square sign or plaque on the right upper corner of the abutment. The unfinished “Mayan Ruins” abutment had a similar sign in the same corner. And there’s also the lower walls that the remaining abutment in R/O Pell Terrace has. Being that a large amount of dirt had to be dug out for bridge clearance, the extended lower walls were definitely for retaining. Brings back great childhood memories. I spent many hours with my friends on top of the LIRR bridge in the 1950’s throwing rocks at the trains below. Sure hope the statute of limitations has passed. Brian - Great catch!!! Great Scott, I overlooked it. The sign is identical to the Mayan Ruins’ sign placement. The trees are different in the back. Sending Howard the pic. Steve - You cracked me up this time. Revising my comment here. After zooming in onto the lone abutment image, what I thought was a plaque is actually a SHADOW. So the “space” between the top ends of the abutment is for the roadway, Old Country Rd. Fairly certain that’s a temp backing on the opposite side of the abutment while the concrete hardens. 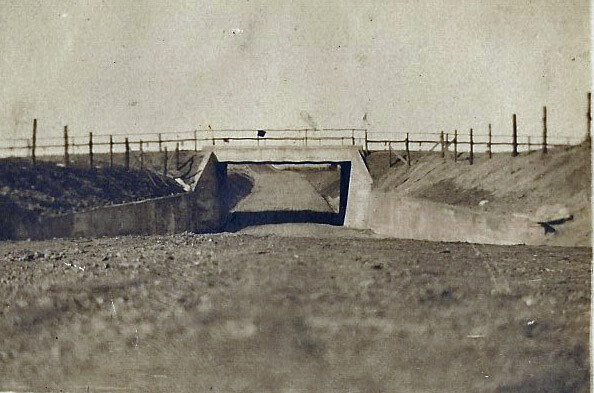 How much of this bridge is possibly still buried under the ground?